For my birthday we traveled to Moab to enjoy the total lunar eclipse this past Dec. 10th, and I don't think I could have asked for a nicer way to celebrate! 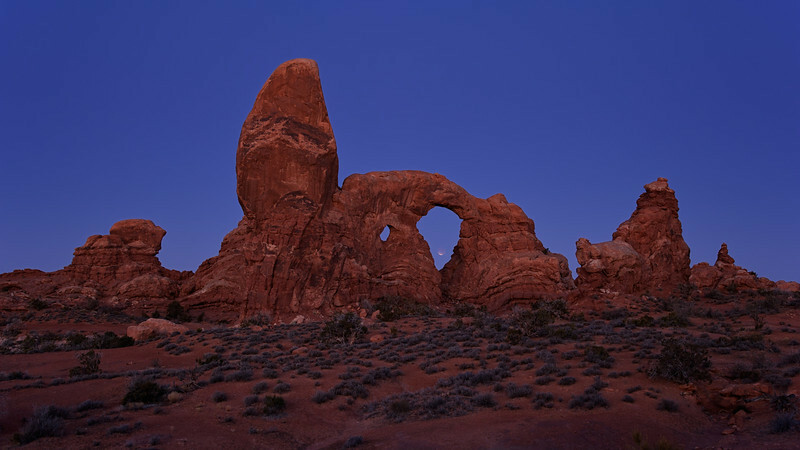 I do have some more closeup images of the eclipsing moon setting through the arch, but I really like the context this wide take offers. I hope you enjoy it too.